1. From any form in AX right click on an control. 3. Select the “Information” tab. 4. The AOT name of the form is visible under “Form name”. 5. Click Edit to acess the form in the AOT. Note: This won’t work for forms created in code like dialogs etc..
Challenge/Problem: Many Dynamics AX Workflow work-items that need to be reassigned at once. 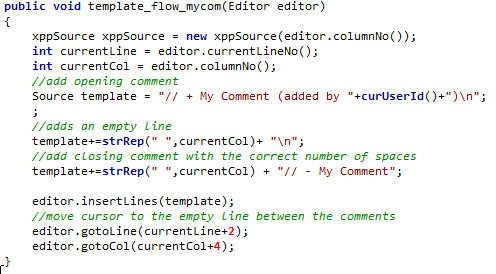 Solution: The following script/job designed for AX workflow will reassign workitems from one user to another. You can modify your query a bit to restrict the items to just the one that you want. The attached one simply reassigns all items currently assigned to user “123456” to user “654321”. Form’s write() method is called. When the super() is called in the write() method, the table’s insert() method is called. Code placed after the super() in the form’s write() method is called. Comment below if you have corrections or additions to this diagram. Description: Previously I have written code to manipulate AX AOT objects via code (reflection) and found the need to kick off a database sync automatically from X++ code. I found the code snippets below to be useful for this operation. 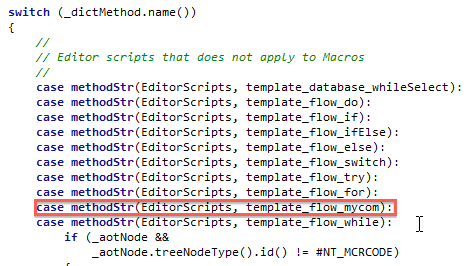 The following two options allow you to perform the db syncronisation. Challenge/Problem: Many line level workflows that need to be resumed. Description: Sometimes due to data or setups one may have numerous line level workflows failing and entering a “Stopped” state. This may be a result of calendars that do not have enough dates created, users who have been disabled etc… If the workflows were header level, it is easy enough to select all in the Workflow History form and click resume, however on line level workflows one needs to view each line level workflow individually and resume them. Solution: The following job can be used to perform mass resume on stopped workflows. You can adapt the SQL to limit to certain documents or document types of necessary.